Nagi’s father was a farmer in Syria. He loved to work on the land. But these days, since fleeing war torn Syria in search of safety for him and his family, he has been unemployed. He spends his days dreaming of the home he had to leave behind. 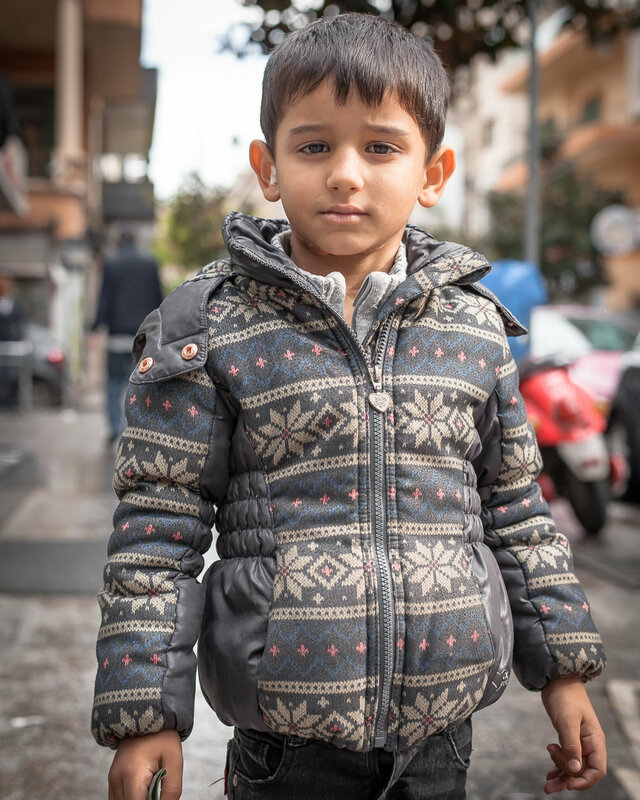 Nagi was badly burnt in the small apartment he and his family share in Lebanon as refugees. He has five brothers and sisters and so there is very little room for them all. One day, when he was just one, he knocked a pot of boiling water off the stove. The water spilled onto his neck and shoulders, covering the young boy in painful burns. The family rushed the young boy to the nearest hospital, and spent over $3,000 trying to get him the treatment he needed. But still to this day, the burning causes him major discomfort, and restricts his mobility. Nagi was introduced to INARA by UNHCR. Our doctors at the American University of Beirut Medical Center (AUBMC) advised that he would need CO2 laser sessions to soften the tissue on the burns, ensuring that the skin is more flexible. This should restore mobility to Nagi’s neck and shoulders. The family hope for a better future for Nagi, where his burns don’t restrict his ability to lead a full and healthy life. This is only possible thanks to incredible donors, who have donated throughout 2018 to ensure war wounded refugee children get access to the life-altering medical treatment they so desperately need.